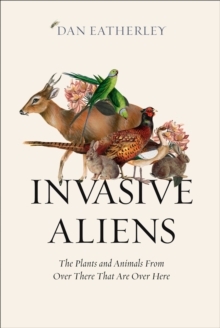 A unique history of plant and animal invaders of the British isles spanning thousands of years of arrivals and escapes, as well as defences mounted and a look to the future. As Brits we pride ourselves as stoic defenders, boasting a record of resistance dating back to 1066. Yet, even a cursory examination of the natural world reveals that while interlopers of the human variety may have been kept at bay, our islands have been invaded, conquered and settled by an endless succession of animals, plants, fungi and other alien lifeforms that apparently belong elsewhere. Indeed it's often hard to work out what actually is native, and what is foreign. From early settlement of our islands, through the Roman and mediaeval period, to the age of exploration and globalisation, today's complement of alien species tells a story about our past.